On 5th May 2011, the students at Michigan's South Lyon East High School became one of the latest US high schools and colleges to stage their own production of The Phantom of the Opera.The Phantom of the Opera. 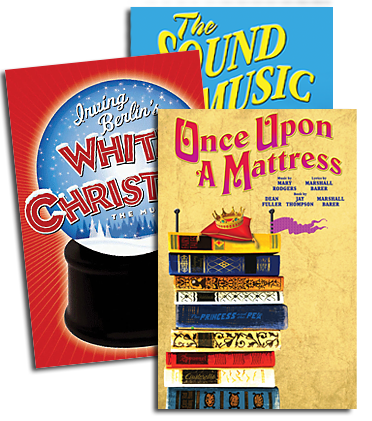 In earlier blogs, we heard from the show's Set Designer, leading actors, and musicians. Blog 4- Dress rehearsals and finishing touches as we prepare to bring Phantom of the Opera to the stage in South Lyon, Michigan. The actors and tech crew are excited and ready for opening night!! Dress rehearsals started Saturday, so we are sharing some photos that showcase our sets, props and costumes. Our costume team has put together some very elegant costumes, and they have spent the better part of 4 months shopping for fabric, cutting and sewing. Very few costumes were rented for this show - almost all were hand made in the style of the period. It has been an amazing few months of preparation by all involved - the set building crew, the props crew, the lighting and sound technicians, costume team, pit orchestra, and the actors themselves. To watch the story of the Phantom of the Opera come to life is a direct result of the hard work and dedication of all the students, staff, and parents, and the culmination of months of hard work and planning. We couldn't be happier with the results! Just two more days until opening night, and excitement is in the air as all involved are working long hours to put the final touches on what we know will be an amazing show that our school and community can be proud of. We hope you have enjoyed following along as we have made preparations for our most challenging show to date. Stay tuned for more from our opening weekend! *PLEASE NOTE, the release of performance rights for The Phantom of the Opera is at this stage restricted to high schools and colleges across the USA and Canada only.